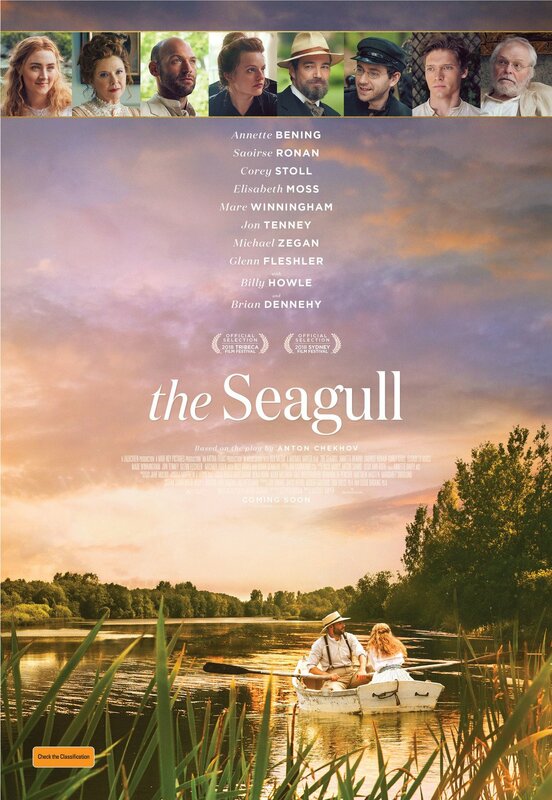 Sony Classics has released a new poster for their upcoming drama The Seagull. The film adaptation stars Oscar nominees Saoirse Ronan (Ladybird) and Annette Bening (American Beauty). Check out the new poster below! 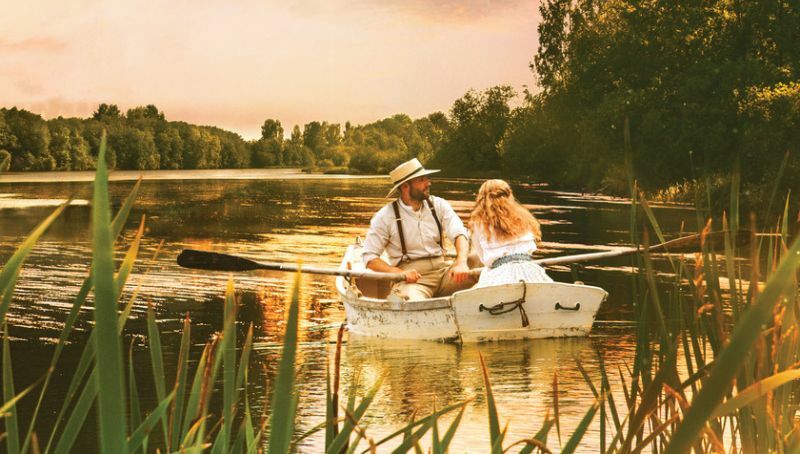 The Seagull, directed by Michael Mayer and adapted by Stephan Karam from the classic play by Anton Chekhov. The film also stars Golden Globe and Emmy winner Elisabeth Moss (The Handmaid’s Tale), Corey Stoll, Brian Dennehy, Mare Winningham, Jon Tenney, Glen Fleshler, Michael Zegen, and Billy Howle. The design team includes Ann Roth and Jane Musky. The film is looking at a 2018 release. The Seagull is the heartbreaking and funny story of friends and lovers, all of whom are in love with the wrong person. The movie is timely in its depiction of the tragic consequences of narcissism, particularly on young dreams and romantic love. The play was written by dramatist Anton Chekhov in 1895 and first produced in 1896. Sidney Lumet directed a film version of the play in 1968 called The Sea Gull, starring Vanessa Redgrave. The Seagull is produced by Tom Hulce, Leslie Urdang, Bob Salerno, Jay Franke & David Herro. The deal was negotiated between Sony Pictures Classics and CAA and Endeavor Content. Hyde Park International represents the remaining world rights. The post New The Seagull Poster Showcases Pristine Scenery appeared first on ComingSoon.net.